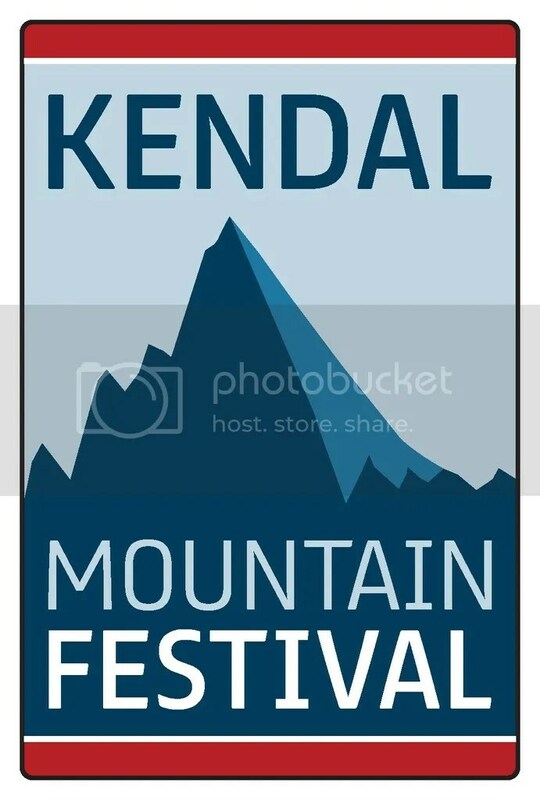 Initially we had no idea what the Kendal Mountain Festival was until looking online and I saw a BUFF Speaker session with some elite runners. 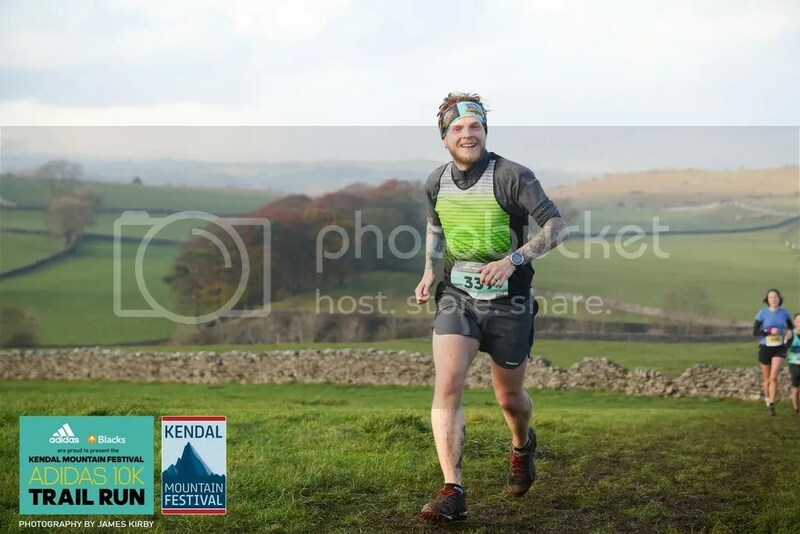 This seemed worth a trip to the Lake District alone, then upon further investigation I saw there was a 10km race. I couldn’t persuade Vicky or our friend Andy to do the race but I signed up for it to dip my feet into the whole fell running scene in the Lakes. 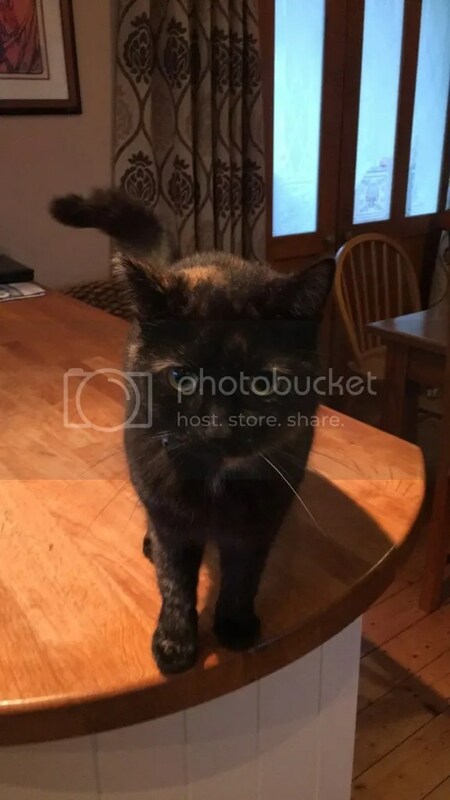 We drove down on Friday and stayed with our friends Andy and Rachel, who had a gorgeous cat called Holly and a lovely house & family. The founder of the Centurion races – He spoke about the races he puts on and his running achievements. 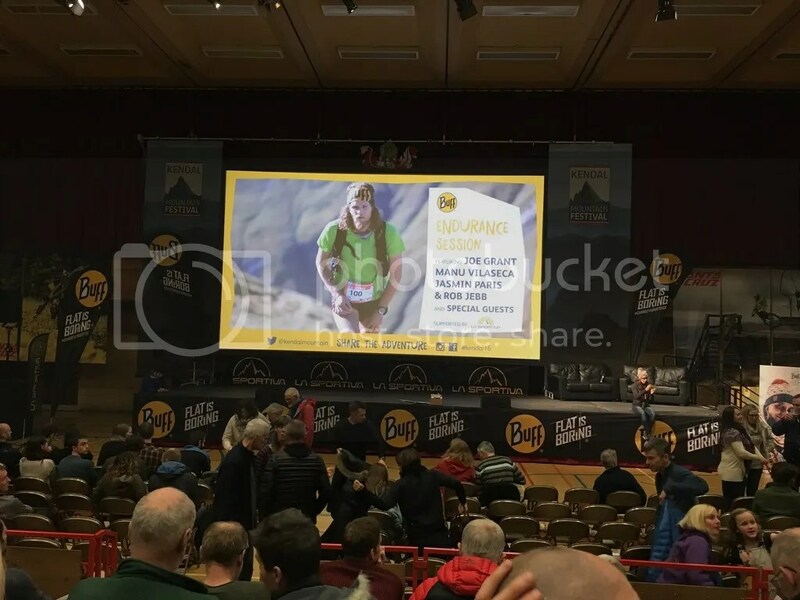 Manu Visaseca – Was really cool, they could have asked her more questions specific to UTMB, Lavaredo, TransGranCanaria. It seemed to be mainly about her move from Brazil to Spain and her job in Spain. Joe Grant – Crazy! We got to see some clips from an upcoming running movie he is making when he covered all the 14,000er peaks in Colorado, sleeping rough and carrying all his gear. Jasmin Paris – Good to hear about her BG, PB and CR rounds in course record times, she was really down to earth and seemed like a really friendly person. It was fascinating to hear about her training in the beginning of the year leading up to these rounds, also having the UTMB thrown in the middle. 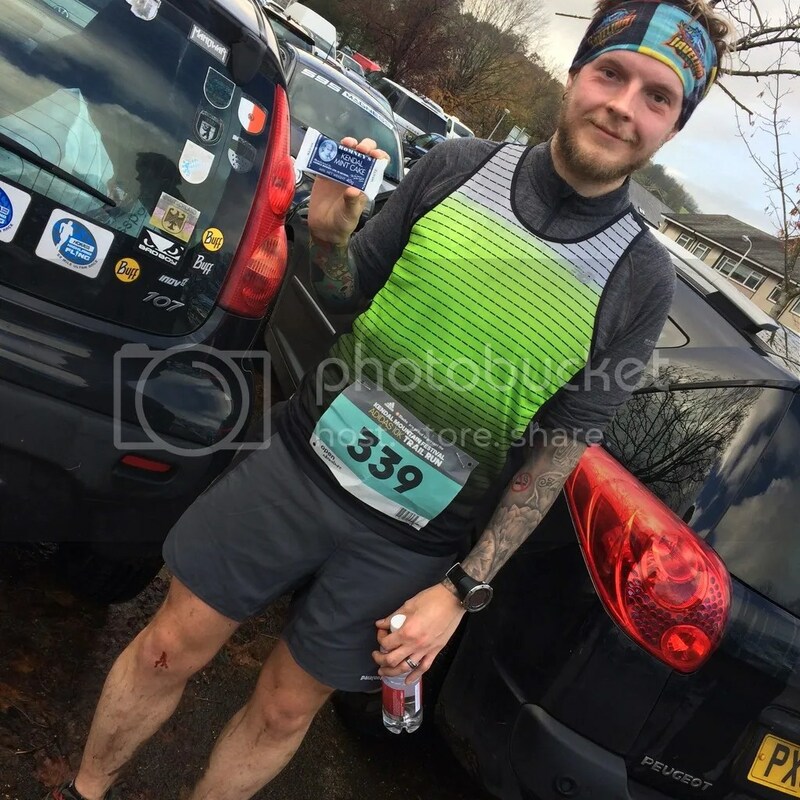 Rob Jebb – Hilarious! Really funny Yorkshireman, holds the second fasted BG time and told us in details about his attempt at it. Probably in a little too much detail sometimes haha. There were also various trailers and short movies presented by other guests which was good to see. ‘A Shephard’s Hand’ was a great short movie with a narrated poem. On Saturday we got up nice and early, Andy made breakfast for us both and I got ready to head off out and register for the 10km race. Registration was straight forward and took no times at all. We had so much time to kill we headed to Booths to get a hot drink because it was freezing out there! 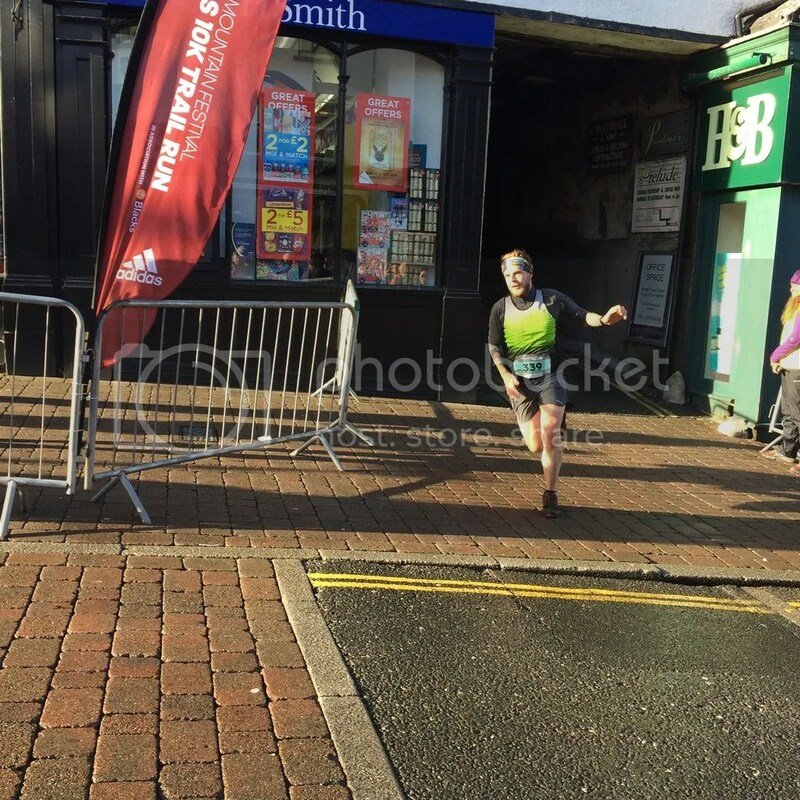 I started quite far back in the corral, I didn’t want to start further forward because the plan was to take the first half of the race pretty casually. Soon enough I bumped into Katie and Graham – Wishing Graham a happy birthday! The hill was a nice gradual climb so no need to walk, I kept an easy pace on the way up not stopping for any photos! When I got to the top of the hill there was a really beautiful cloud inversion. At the top I gave myself a 30 second recovery jog before going hard for the final half. I ran comfortably hard on the undulating section along the top before an easy descent, going by the water stop and continuing into the final few miles. 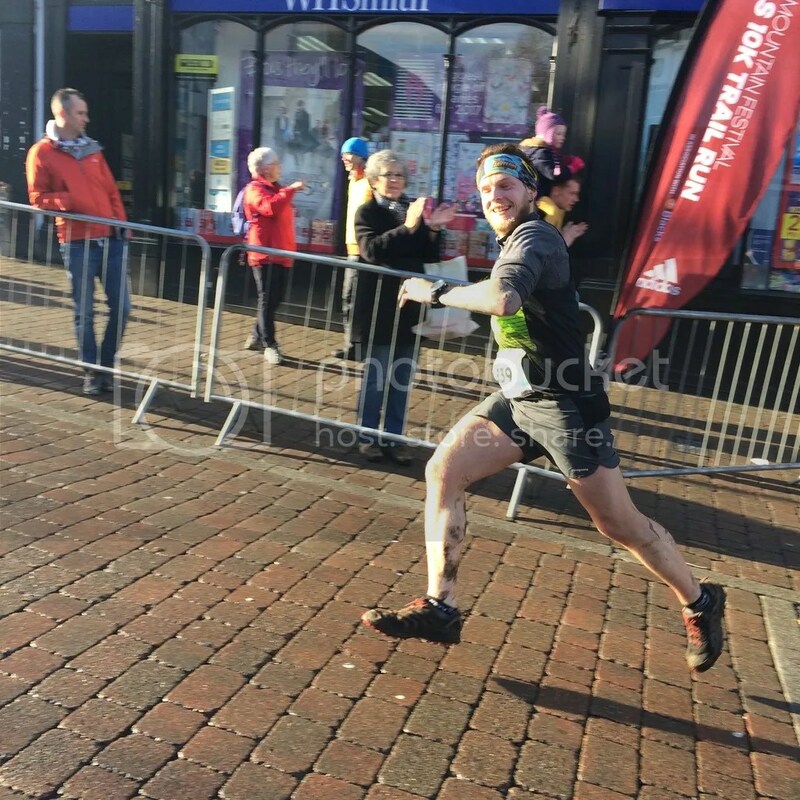 When speaking to Andy and Sarah prior to the race, they both mentioned the final descent being very slippy and it was also mentioned how hard it would be to do without falling. I was running down at what felt like a reckless pace but it was good fun, I wore my Rocklites to give me good grip and followed a grassy line instead of the mud lines. Two people fell around me which was quite funny – It was only onto the grass. I came flying down the street passing the BUFF lady who spoke last night and made my way onto the steep cobbles/steps. I ran down this with my hand on the railing throughout and it worked a treat. 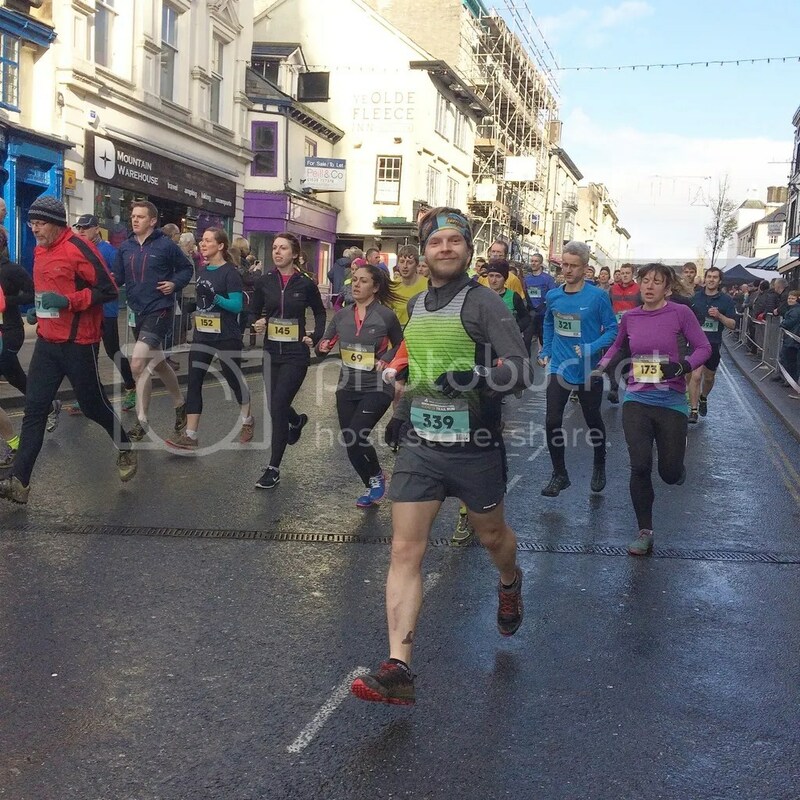 Once I tried to overtake somebody by going wide but I instantly slipped so thought it was best to just keep my hand on the rail and overtake when running through the town. Coming into town was a welcome sight then seeing Vicky at the final bent taking photos. 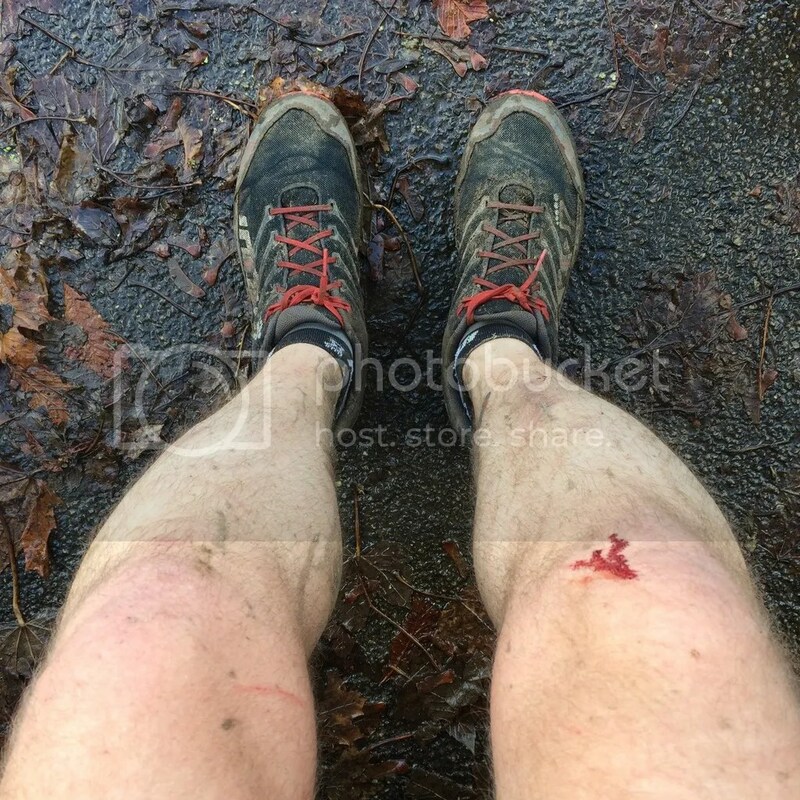 Very pleased to have done a hilly trail/fell 10km in under an hour – 1000ft ascent. The main goal Sarah had set out is to enjoy the day, not getting caught up in time goals. I ended up with a little cut on my knee from some of the bushes I think. 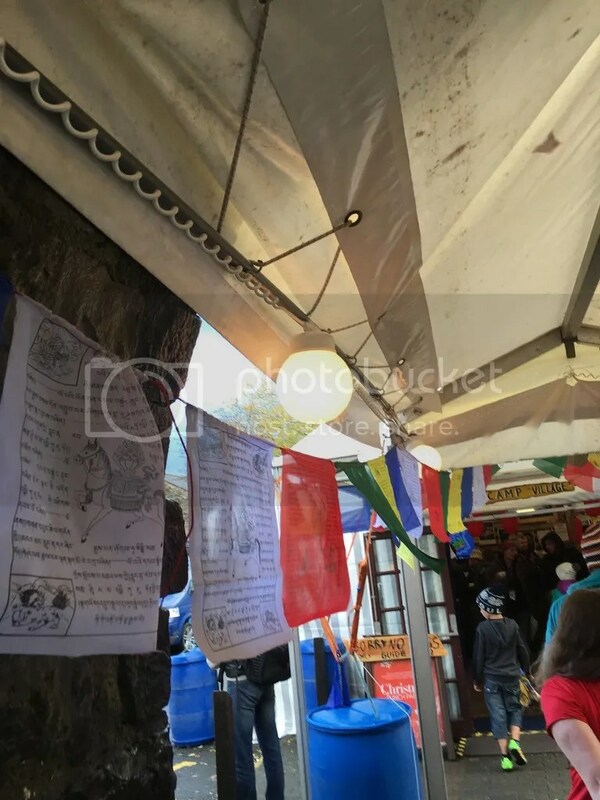 After getting changed we headed to the Festival Expo to have a look around, there was some pretty cool booths there:- Buff, Blacks, Patagonia, Black Diamond etc. It was a shame the Patagonia booth wasn’t selling anything but had hangers full of clothes for repairs. On the Friday we went here briefly with Andy and all 3 of us were rifling through all the clothes without realising they were peoples old ripped ones haha. 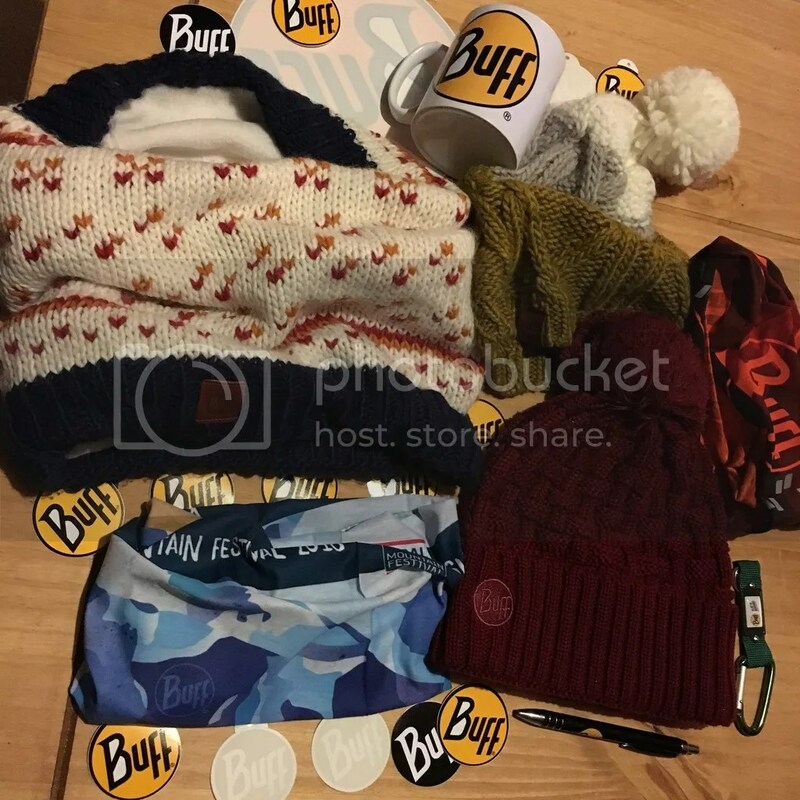 We spent far too much at the Buff booth but couldn’t help it so soon after payday! 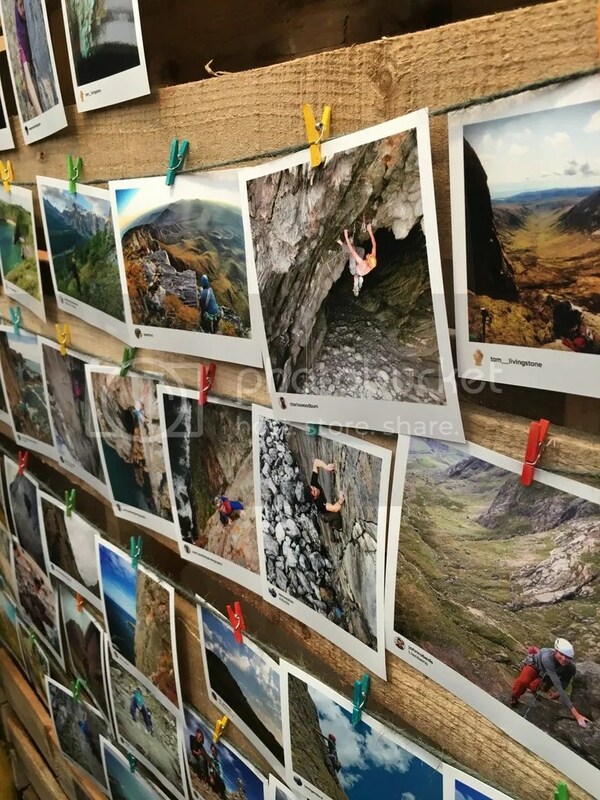 Once we had finished at the expo we headed out to Pete Blands Sports – Its was okay.. I think I had higher expectations of it after reading quite a bit about it. Finally before heading home we met up with Sarah McCormack (Missing Link Fitness) for a coffee and to discuss training etc.